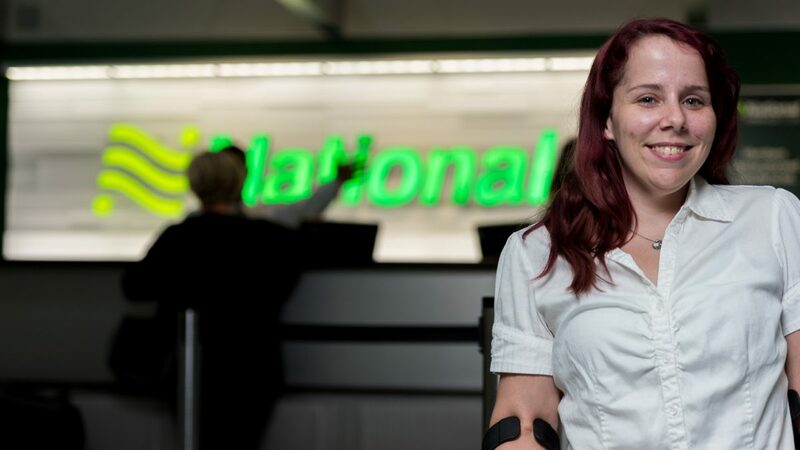 Offering outstanding customer service comes effortlessly for Tillara T., who works as an Emerald Club Greeter and Administrative Assistant at Indianapolis International Airport. Her dedication to customer service is what earned her a Recognition of Service Excellence (ROSE) Award last month. The award committee — which recognizes the contributions of hospitality workers and volunteers who positively influence visitors’ experiences — selected Tillara as one of 10 winners from more than 80 nominees across Indiana. To say Tillara goes the extra mile for all her customers is an understatement. She’s well known in Indianapolis among her repeat customers for going above and beyond – and then some. That’s what happened one evening when Tillara and her co-workers found themselves with 10 customers in their lobby and an empty lot at midnight. Customers who were staying in nearby hotels were provided taxis and promised that National would deliver a car to them by morning. Then, Tillara and her teammates drove the remaining customers to their destinations. Because of her quick action in devising a plan and willingness to help customers, Tillara’s managers nominated her for the ROSE Award. The annual ceremony — hosted by the Visit Indy hospitality group — rewards front line customer service superstars like Tillara. The winners showcase the region’s commitment to creating an extraordinary visitor experience.